Pennington County Department of Economic Development (PCED) is an economic development organization with public and private investors, serving the needs of Pennington County, Minnesota. Created in 2014 as a joint effort between Pennington County, City of Thief River Falls, and Jobs Incorporated. to provide excellence and leadership within the industry. 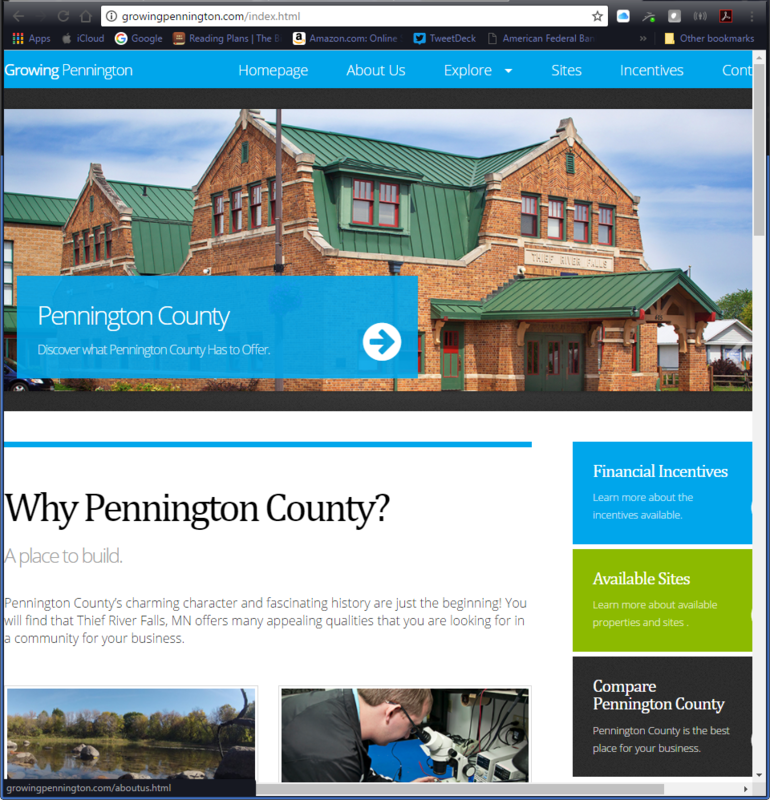 I was privileged to help Pennington County Economic Development design and publish a new website. The site is fully responsive, colorful, clean, and easy to navigate.